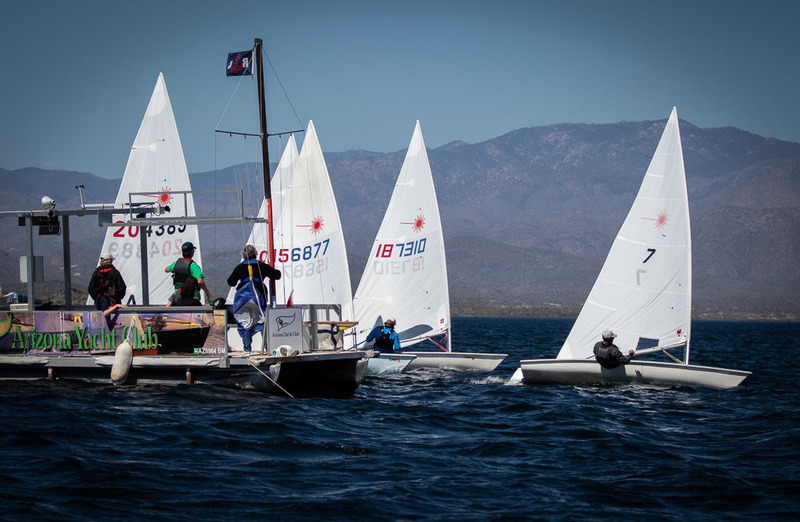 The sailing weather was ideal for the Laser District Regatta at Lake Pleasant, March 16&17. Lots of wind under sunny sky with comfortable temperature. 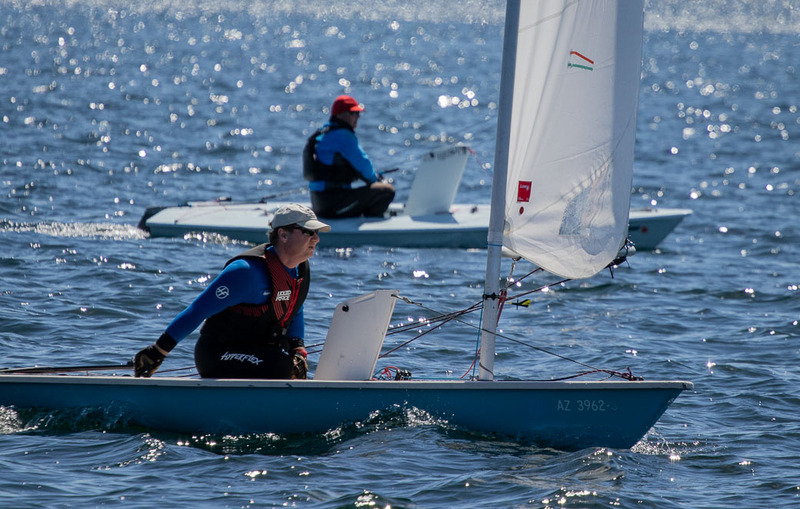 Even the water temperature wasn’t too bad, according to the Laser sailors who tried it out. 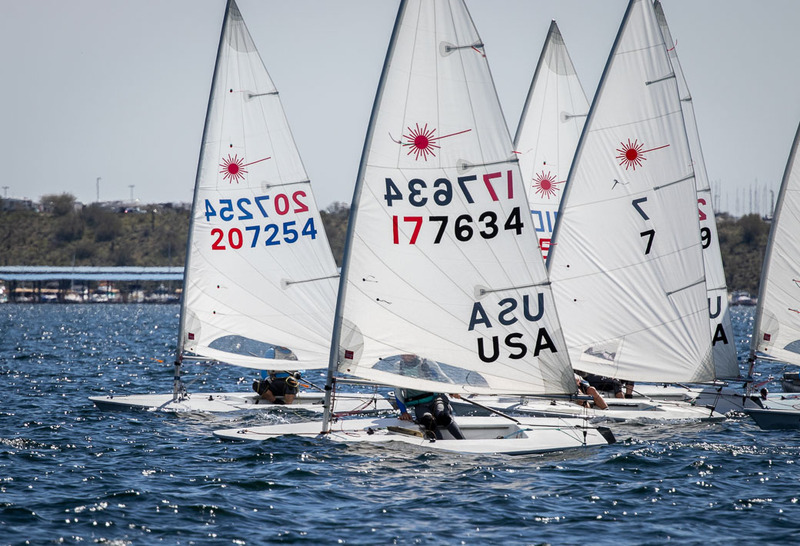 Ten boats competed, including four entries from Mission Bay Yacht Club in San Diego, running long w/l courses at the south end of the lake. 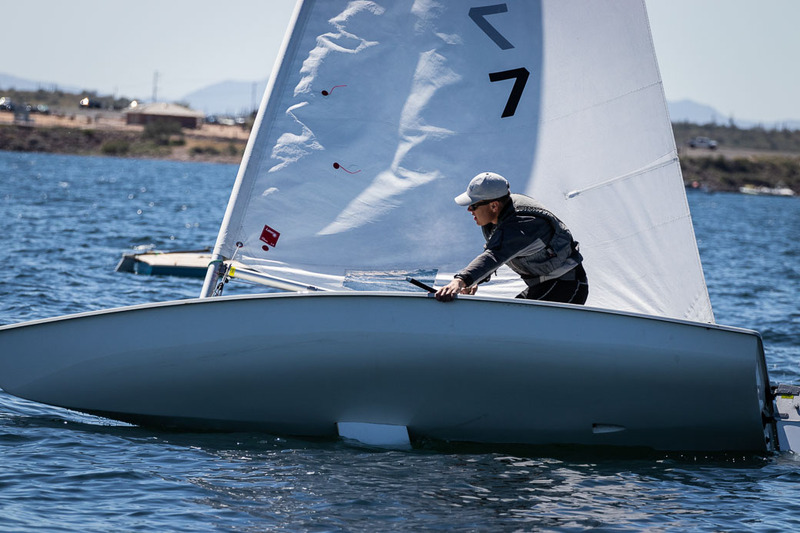 After two days of racing, the California Laser racers dominated the Master’s category (aka older guys), taking four of the top five spots. 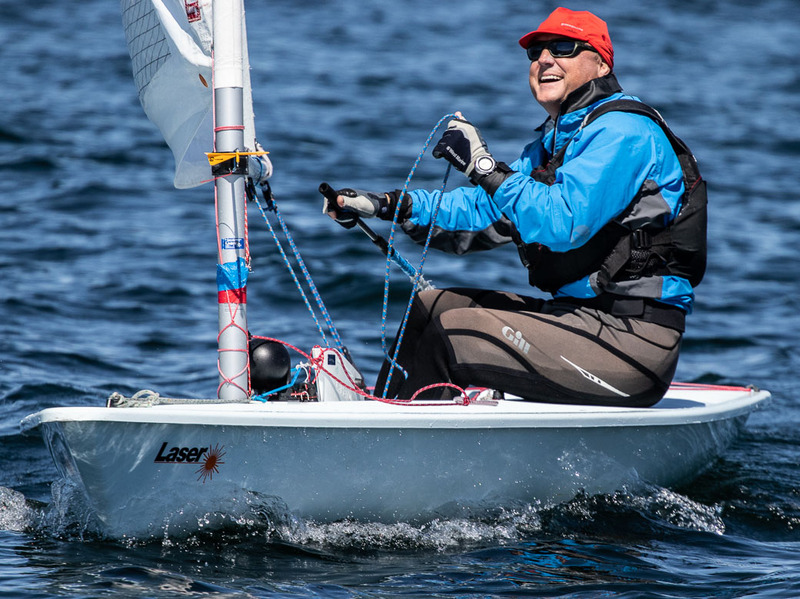 Overall, AYC’s Joel Hurley took second on a tie-breaker to MBYC’s Dave Leuck. 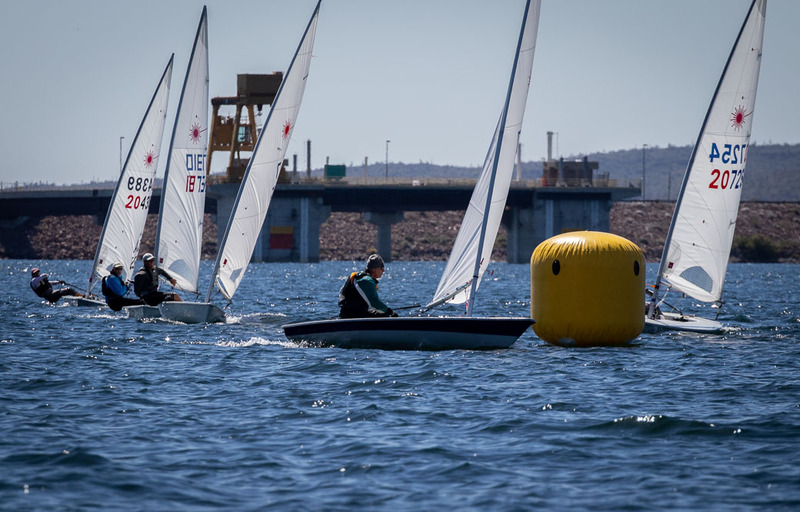 This event was a George Sheller production: George has wanted to stage a district event for over a year and pulled it off this time, with lots of help, including from PRO Wendy Larsen, boat driver Mike Grijalva, and a troop of Sea Scouts. Kara Newland gets credit for the BBQ dinner Saturday night. 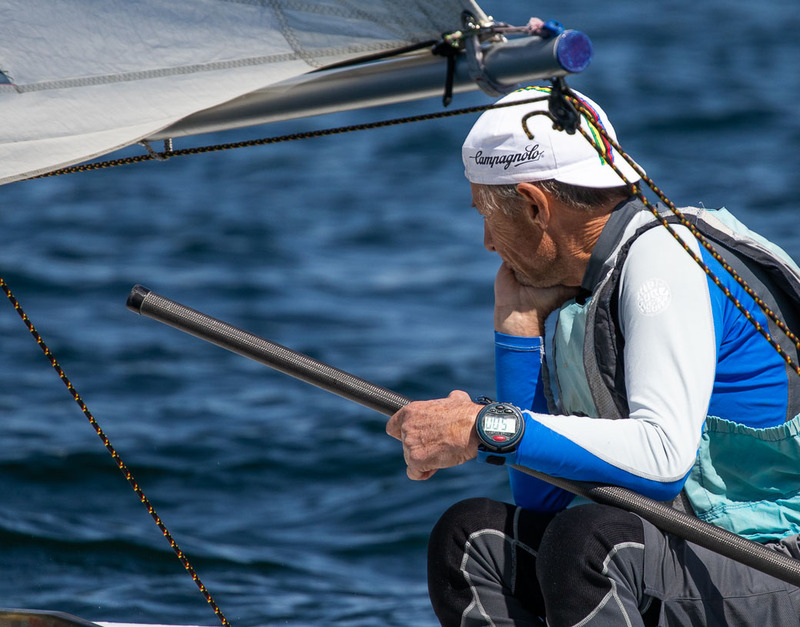 Read George’s account of the event. Here are the overall results. And the Master’s Results.